These fingerprints show the entire climate system has changed in ways that are consistent with increasing greenhouse gases and an enhanced greenhouse effect. They also show that recent, long term changes are inconsistent with a range of natural causes…..
a pattern of cooling in the high atmosphere (stratosphere) with simultaneous warming in the lower atmosphere (tropopause). Time for another reality check. I will look at the 1st point above, that is greater polar than tropical warming. I am particularly interested in the Southern Hemisphere. This time I am using publicly available data from the University of Alabama (Huntsville) satellite record (UAH). Someone forgot to tell the observations. The satellite record from UAH has data for many different regions of the globe. As well as global data, there are data for polar regions (60 degrees North and South to 85 degrees North and South); Tropical regions (20 S to 20 N); extra-tropical regions (20 S to 85 S and 20 N to 85 N); and separate data for land and ocean areas of these regions (as well as data for Australia and USA). It looks daunting until you plot it on a graph. Then you find some very surprising things. From December 1978 to March 2013, it is plainly obvious and widely known that averaged global atmospheric temperatures have warmed about +0.3 degrees Celsius. However I like to dig and delve into the data. And this is obviously the “proof” of Dr Braganza’s contention that polar regions are warming more than tropical regions, and this is “uniquely associated with the enhanced greenhouse effect”. Not warming at all, in fact cooling! 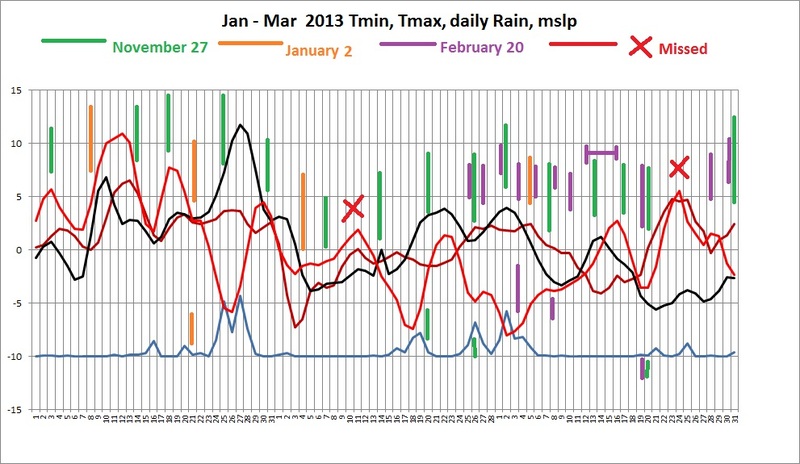 I’ve used a 12 month running mean to smooth the Polar and Tropical data. Oops! Not only not warming more than the tropics, going in the opposite direction. There’s no comparison. It appears there’s a very good reason for the increasing Antarctic sea ice. 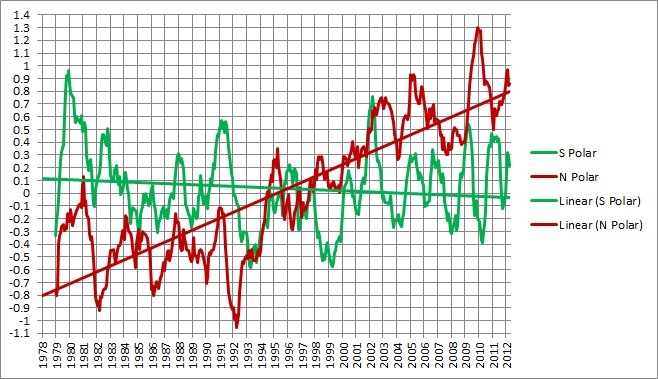 Moreover, the Antarctic ice mass is unlikely to melt anytime soon. Nope- the BOM says Northern Australia is warming (slightly) faster than Southern Australia. Dr Karl Braganza has failed to reveal that the climate record is much more complex than most people realise. 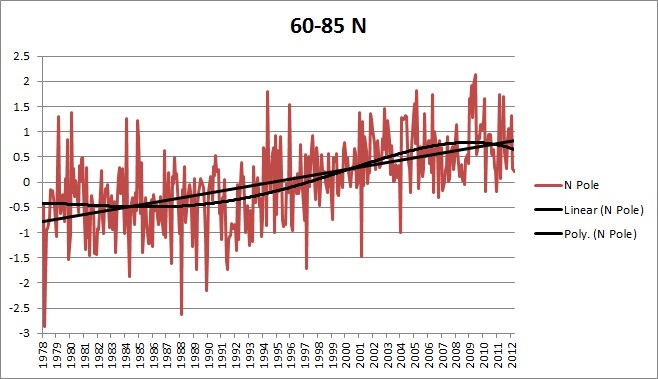 Yes, the Northern polar regions are warming. 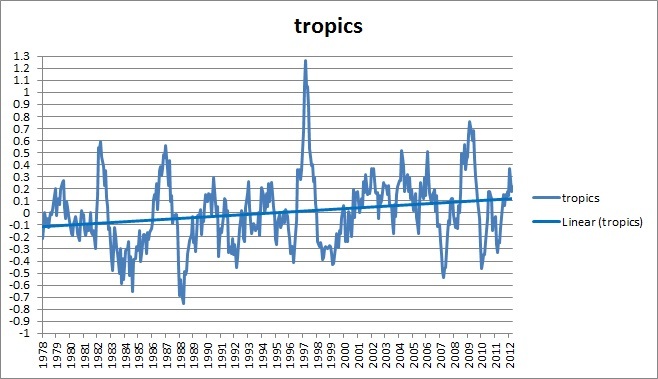 However, despite recent claims of rapid Antarctic warming (actually from the Antarctic peninsula), the satellite record shows that the Southern Hemisphere polar regions (from 60 S to 85 S) are cooling while the tropics are warming. As well, northern parts of Australia are warming more than southern parts. THREE of Dr Braganza’s five fingerprints are missing. Dr Karl Braganza in The Conversation on 14/06/2011 lists the “fingerprints” of climate change (my bold). 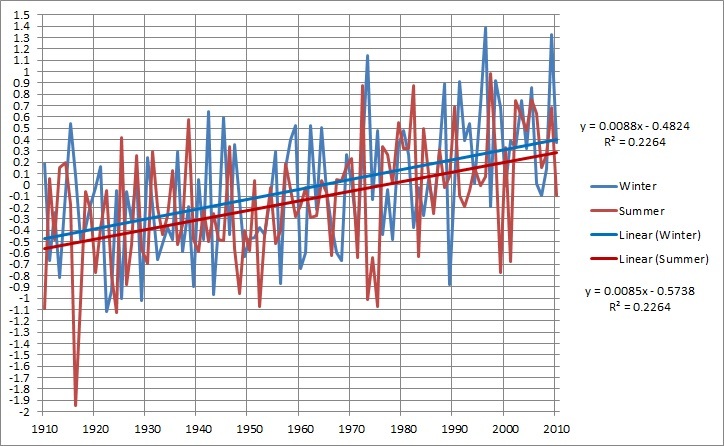 Similarly, greater global warming at night and during winter is more typical of increased greenhouse gases, rather than an increase in solar radiation. 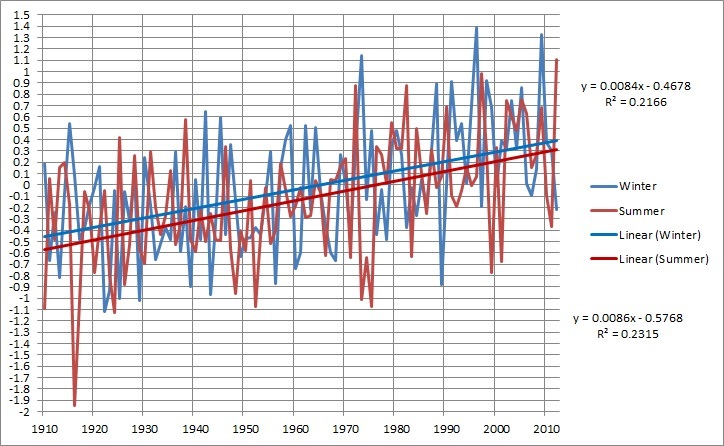 Decreasing Diurnal Temperature Range, one of the “fingerprints” of climate change, “uniquely associated with the enhanced greenhouse effect”, is not happening in Australia. 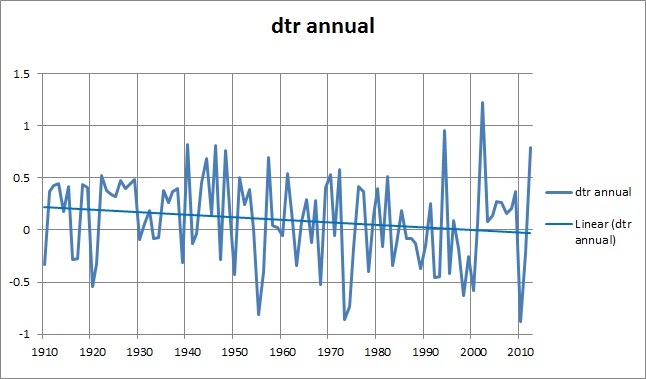 For 63 years, well and truly long enough to determine a trend, DTR has been flat- in fact slightly increasing. 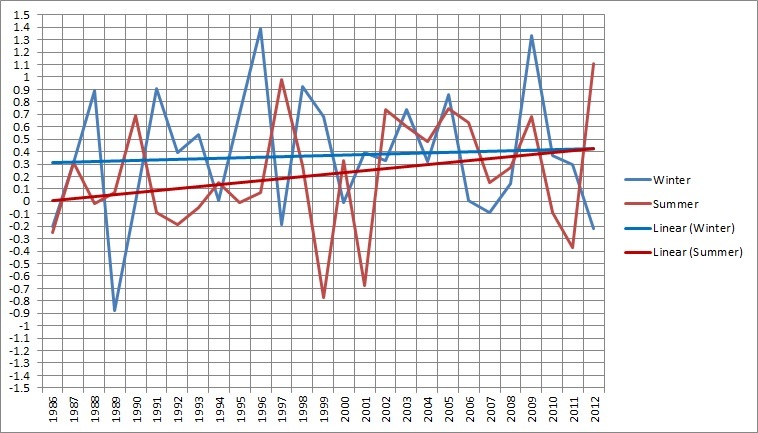 Dr Braganza made his statement in June 2011, so here is the data from 1970 to 2010. 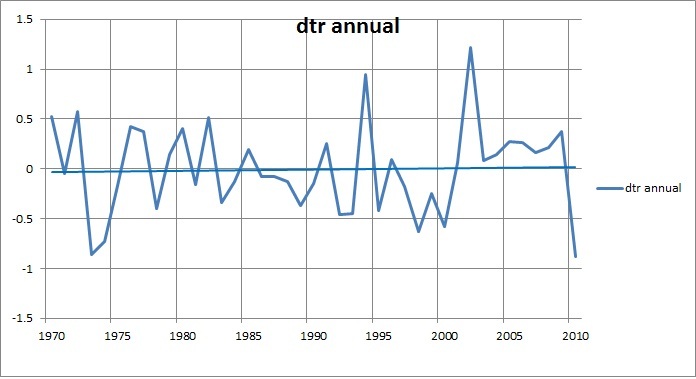 It is plain that there was NO decrease in DTR for the previous 41 years. 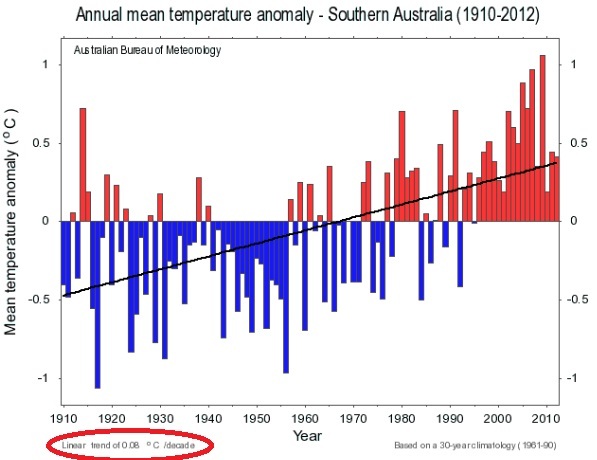 By 14/06/2011 Dr Braganza, as Manager of Climate Monitoring at the Bureau of Meteorology, would have had access to this data, so he certainly should have known. Can you tell the difference? 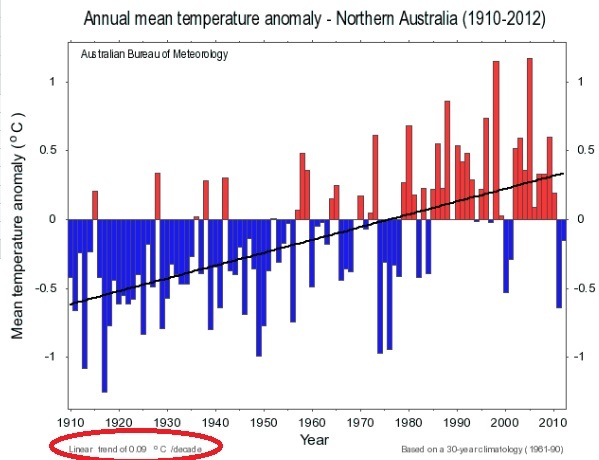 Very slightly, by the tiniest margin, there was more winter warming to 2010- but remember the Bureau’s goal is to reduce temperature uncertainty to +/- 0.2C, so this increase is indistinguishable from no difference at all. 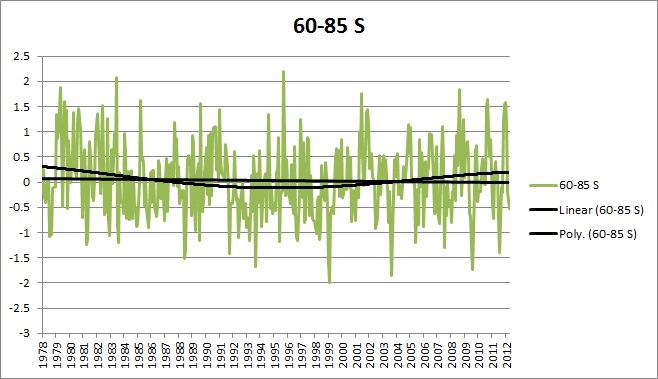 Greater winter than summer warming is not detectable in the Australian data. Dr Braganza knew this too. 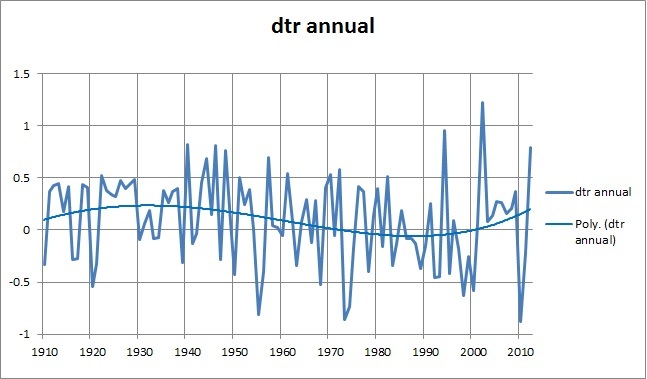 These trends will have to reverse drastically for the fingerprints of diminishing DTR and relatively warmer winters to appear. 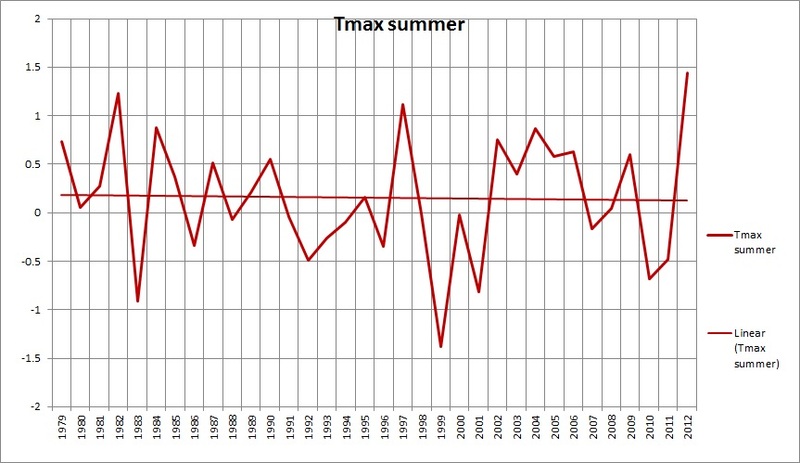 No doubt Dr Braganza is not hoping for any more “Angry Summers” as those record maxima tend to smudge the fingerprints. 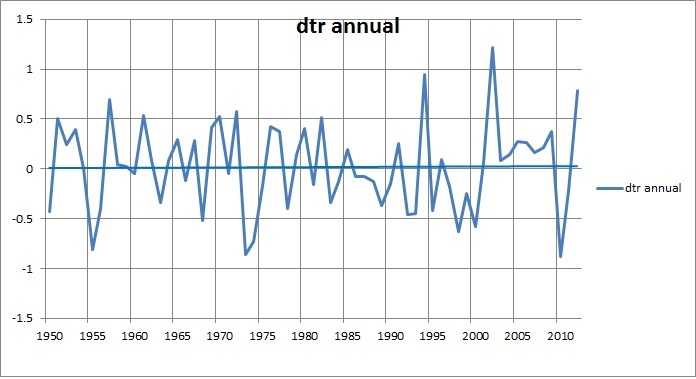 Dr Karl Braganza has failed to reveal that there is absolutely no evidence for the enhanced greenhouse effect in DTR and winter warming trends in Australia. 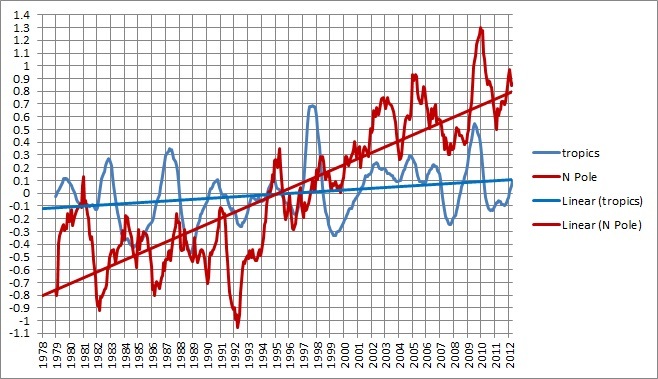 The Australian data are NOT consistent with an enhanced greenhouse effect. There is evidence that it has been smothered by negative feedbacks. Two of Dr Braganza’s five fingerprints are missing. Two down, three to go before the enhanced greenhouse effect is acquitted for lack of evidence. 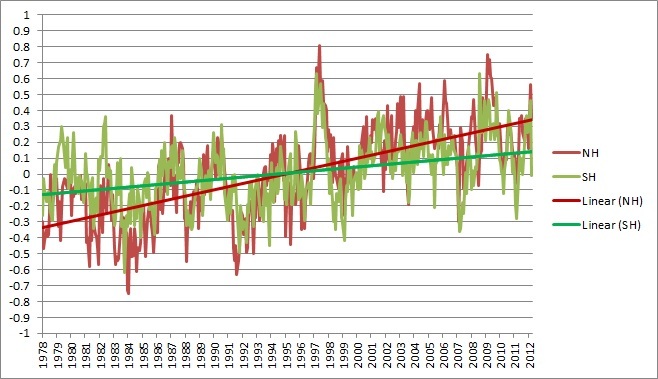 In the wake of the scarey stories being put about by the Climate Commission, here are a couple of graphs that ought to perplex those who blindly put their faith in the “science” of global warming as espoused by the Bureau of Meteorology, the CSIRO, and the Climate Commission. 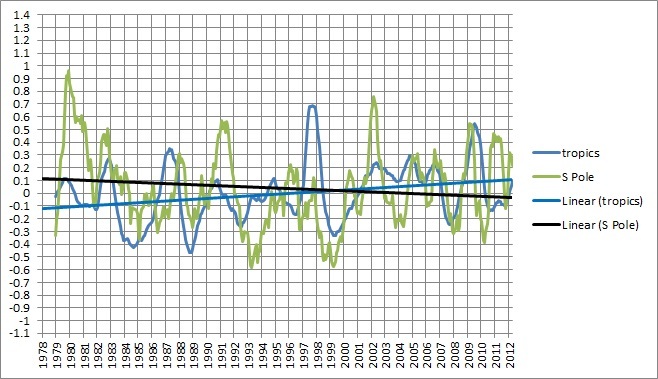 The data from these graphs is directly from BOM’s Climate data Online Time Series Graphs. Their own data. The heat is getting more extreme right? Summers are getting hotter, right? What about winter? Greenhouse theory suggests that warming should be enhanced at night, in winter, and towards the poles. 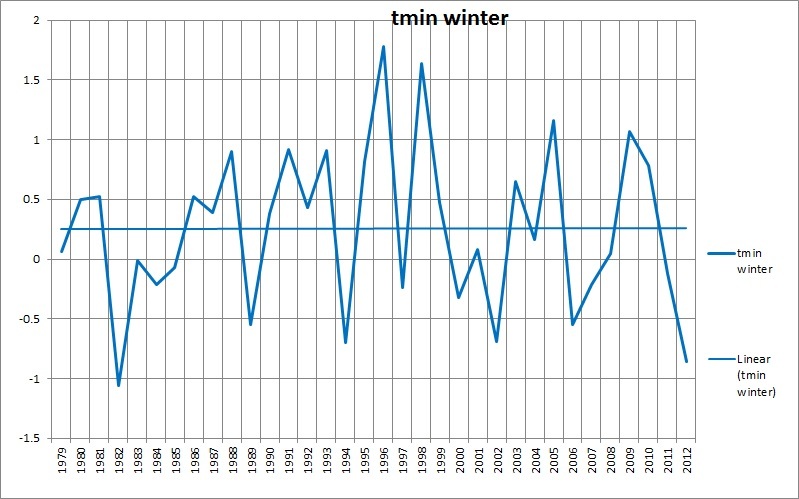 Winter minima should be warming. So winters are getting milder, right? According to the ABC’s Catalyst, vineyards are moving south, right? Nope. 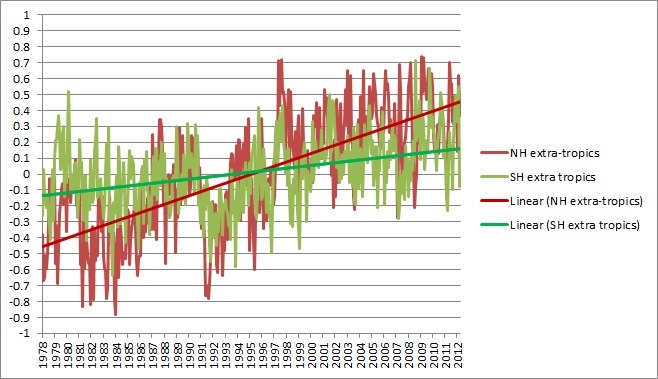 The winter data are inconsistent with greenhouse warming over the past 34 years. And summers are not hotter than they used to be. 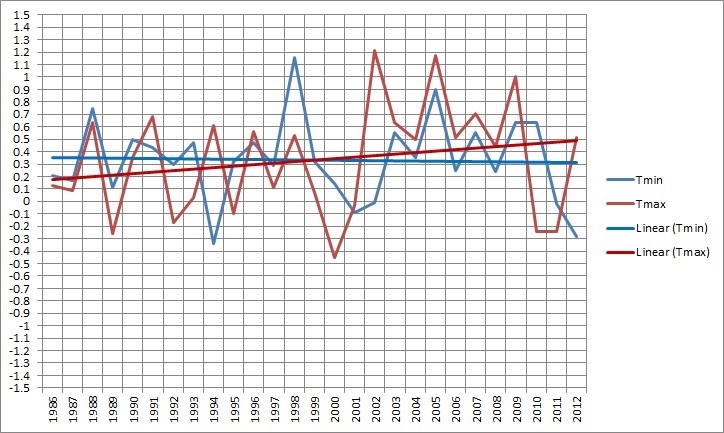 The graphs above show data since 1979. That is because I do not trust surface data from any official Australian source before the satellite era. More details in future posts. Dr Christy has just announced that the UAH (University of Alabama- Huntsville) tropospheric dataset now includes a listing for Australia, which includes Tasmania. “This will include temperature anomaly and trend data going back to the beginning of the UAH dataset in December 1978,” Dr Christy said. This should be of immense interest to Australian analysts. January: 3, 14, 18, 25, and the big one 30-31. March: 2, 7-8, maybe 13, maybe 17, 20, 31st . January: 3, possibly 8, 14, 18, possibly 21, 25, 30-31. February: Possibly 4, 7, 14, 20, and 26. Every predicted date matches events often exactly, mostly within 1 day, and (three times) within 2 days. November 27 predictions:- 15 out of 15 correct. January 2:- 4 out of 4 extra correct. February 20:- 2 out of 2 extra correct. 91.3% accuracy. From 27 November, using only the long range (160 days, without the 40 day refinements) the accuracy is still 65.2%. I am satisfied that my method works. 160 days out, 100% of predicted changes happen. 40 days out, additional changes are predicted accurately. Learning as I go, I am going to refine predictions by trying Mean Sea level Pressure (MSLP) and Tmin lagged 40 days instead of rain. 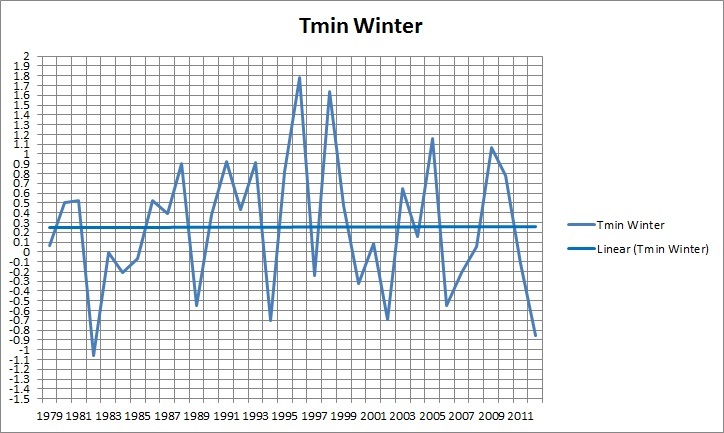 I am also now using the 2nd derivative of Tmin advanced 160 days (looking for de-celeration of temperature rise) to assist forecasting. I am in the process of developing an objective method of testing the accuracy of my predictions. More later. An alternative method of predicting changes using second derivatives is shown here (up to 11 May), which may be easier to follow. You’ll notice most dates are one day after those above. We’ll see which method is better. Allow +/- 1 day, but remember, by definition changes cannot be on consecutive days. And longer term (there will be extras, not discernible until 40 days out). I will now leave it at that while I concentrate on some other projects (including objective evaluation). You are currently browsing the kenskingdom blog archives for April, 2013.